Benefits for all stakeholders continue to spur adoption of retail ready packaging. A report from Transparency Market Research forecasts a 4.3 percent compound annual growth rate globally for the next seven years. With this rate of expansion, the report, Retail Ready Packaging Market…Global Industry Analysis, Size, Share, Growth, Trends, and Forecast 2017-2025, predicts the value of the global retail ready packaging market will rise from $60.52 billion in 2017 to $84.46 billion in 2025. Exclusive research by Rovema North America and Vanguard Packaging, an independent corrugated supplier based in Kansas City, MO, indicates this forecast could be understated due to dramatic growth in the adoption of shelf-ready packaging (SRP), a subset of retail-ready packaging. 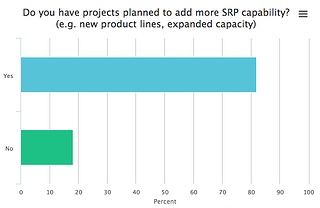 Retailers, led by Walmart, remain the driving force behind adoption of SRP. Facing substantially higher labor costs after giving its associates a raise in 2016, Walmart, looked for ways to reduce shelf stocking time. “Reducing the labor cost of restocking shelves is the primary advantage of SRP,” according to Successfully Navigating Shelf Ready Packaging Disruption, Strategy Guide for CPG, a white paper co-authored with Chet Rutledge, vice president - Retail Ready Packaging at Vanguard Packaging and former director of Private Brand Packaging at Walmart. Less handling also means less damage and waste. The primary disadvantage of shelf ready packaging is the lack of common standards in the United States. Walmart, the company at the fore of the transition to SRP, defines it as a system of “5 easies” – easy to identify, open, stock, shop and recycle. Other retailers follow similar guidelines. Another frequently cited negative of SRP is increased material costs. However, these higher costs often are more than offset by better cube utilization, less damage, fewer stockouts and higher sales. Despite the perceived disruptive nature of the shift to SRP, the transition can be smooth. With smaller store, shelf and kitchen footprints, SRP is well-established in Europe. As a result, Rovema’s world headquarters in Germany, has spearheaded many SRP projects. Its experience shows the most successful transitions to SRP involve a holistic, phased approach with intensive inter-departmental collaboration. To begin, it’s imperative to work backward from the retail shelf. Considerations include position of the shelf (top, eye-level, bottom), product facings, case size, number of products per case, cases per pallet, pallets per truck and transit conditions. The transition to SRP also requires a careful, integrated review of the primary package style, the secondary package style and pallet load configuration, while considering material, appearance, functionality and handling from packaging line to consumer. A phased approach consists of short-, intermediate- and long-term projects and design of graphics, packaging and process. Short-term, SRP can be designed to run on existing equipment, for example, switching from a standard regular slotted case to a five-panel case. In the intermediate-term (six to 12 months), there’s time to modify equipment or install a new machine for SRP. Long-term (one to three years) projects allow the time to work within routine capital equipment replacement cycles to design, build, install and inaugurate a flexible line that can produce today’s SRP design as well as tomorrow’s while improving throughput. Everyone Wins - Not Just the Retailer! SRP benefits all stakeholders. Consumers enjoy a more favorable experience with the product, and retailers profit throughout their operations. For CPG manufacturers, SRP boosts sales due to increased shelf appeal and reduction of out-of-stocks and damaged product. In fact, a sales increase of 3-5 percent is not uncommon. Transition to SRP also offers the opportunity to optimize the supply chain by reducing SKU creep and improving cube. 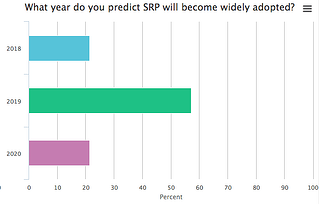 However, as Rutledge explained to the webinar audience, “It takes time to do SRP right.” If 2019 is the target for a large-scale transition to SRP, work needs to start now to maximize the benefits to all stakeholders. 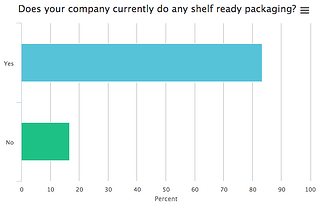 If shelf ready packaging is something your organization is looking to implement, please contact us.